A little while ago I featured the stunning all white apartment of Swedish interior stylist and photographer Sara Medina Lind. She’s a very talented individual with an exceptional eye for interior design. 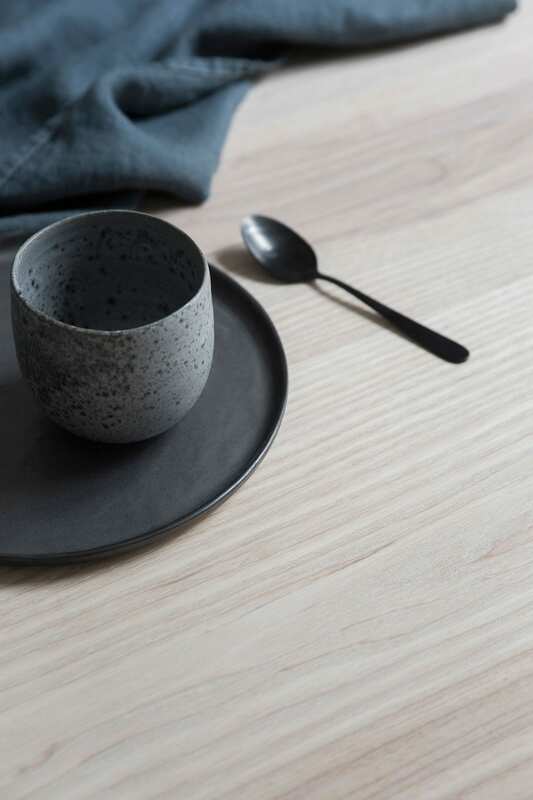 I’m delighted to be able to share with you her latest project, Melo, a minimalist homewares brand crafted in Dalarna, Sweden. 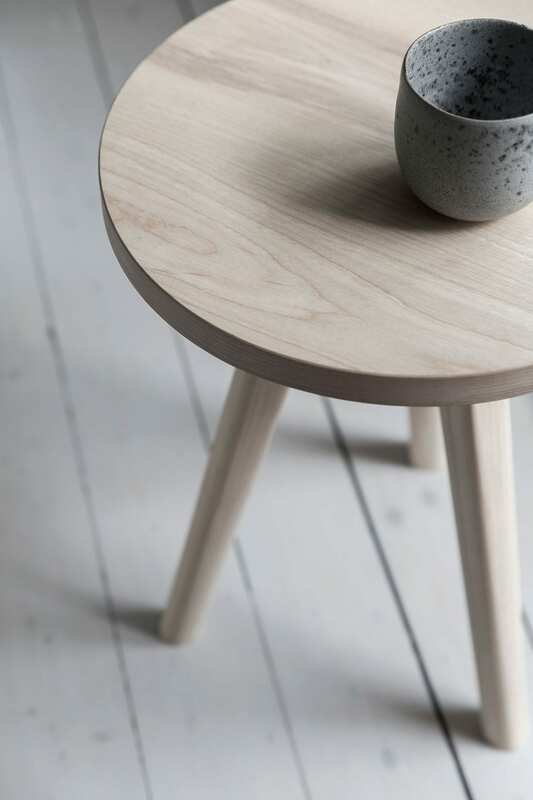 Their first two products are the Mirror Ash and Stool Ash, both in solid ash, soon they will release Table Ash. 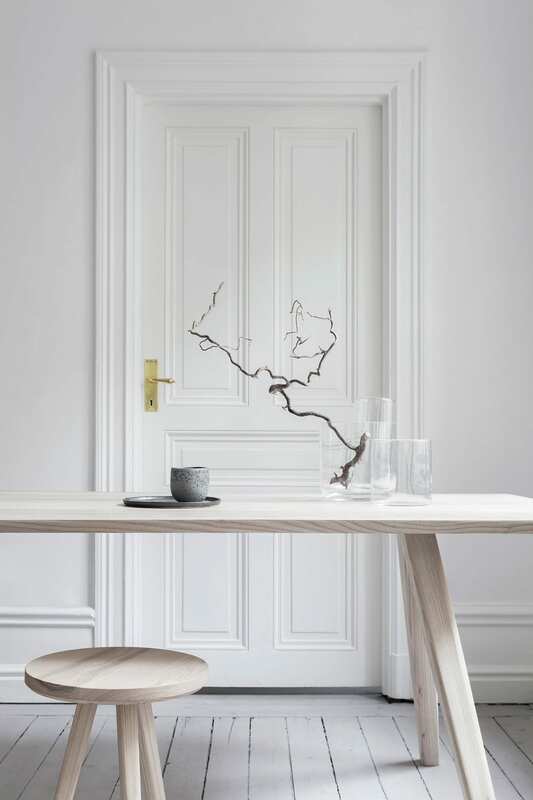 They’ve chosen to use soft, round shapes to give the pieces a modern and humble look; the intention is that they will fit into any environment. 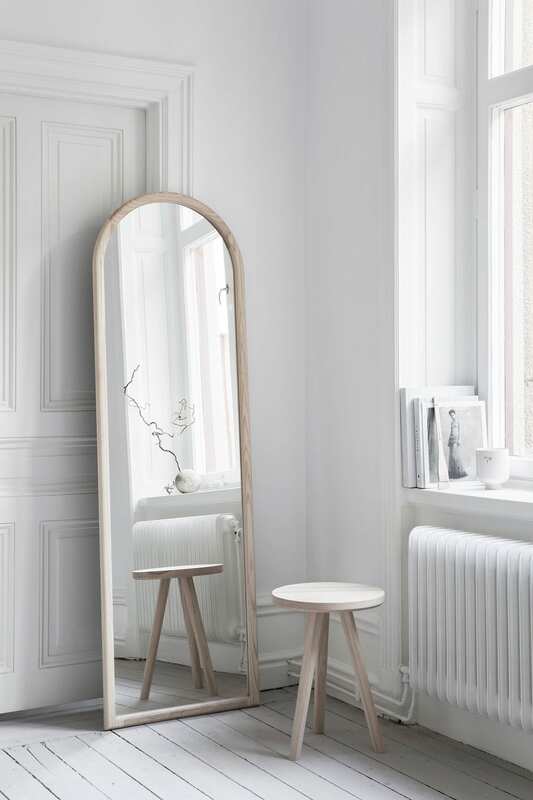 Mirror Ash has a rounded top and the back of the Osby Glas mirror has been painted matte black. 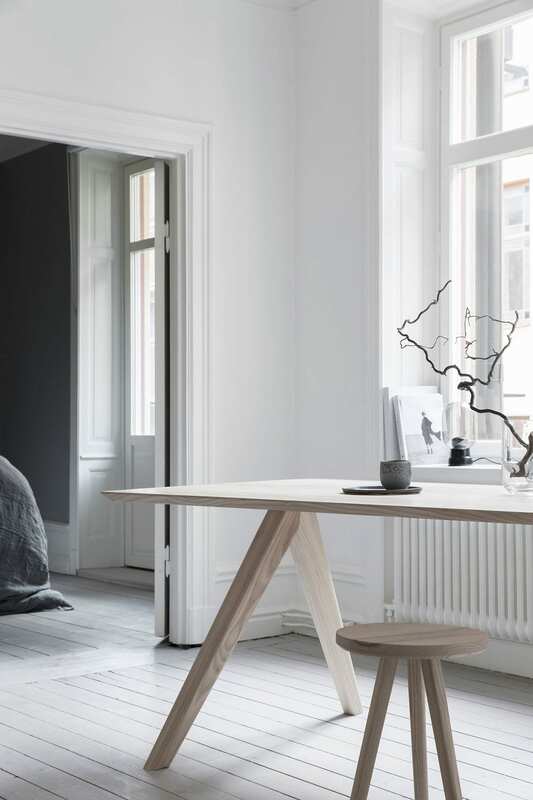 Stool Ash has been designed as a multi-use product, it could be a seat, nightstand or decorative furniture. Medina Lind is the designer and creative director of Melo, a brand she has co-founded with Axel Wennhall. 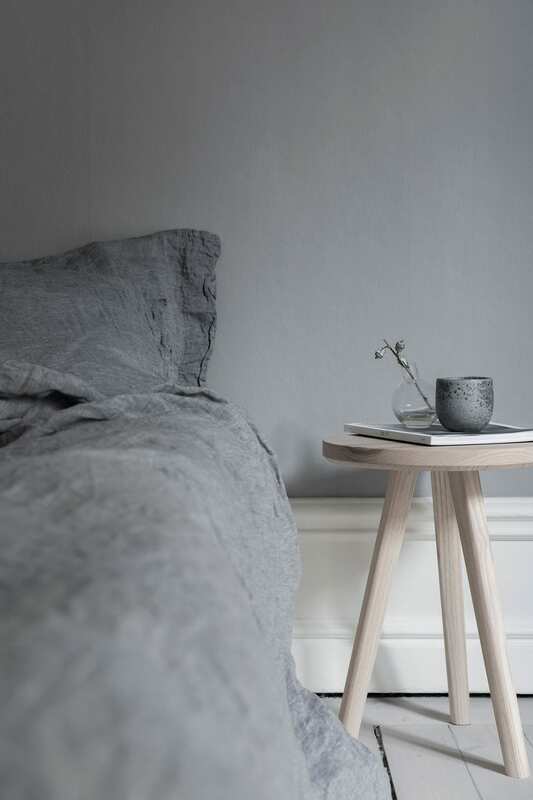 Pella Hedeby, one of Sweden’s top interior stylists, has styled these shots; her blog Stil Inspiration is often one of my first stops for interior styling inspiration. 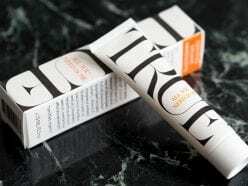 The name of the brand comes from Medina Lind’s grandfather, Carmelo Medina Tadeo, who lived in Gran Caneria and experienced several creative professions in his lifetime. His family would call him Melo.